While the UK has its fair share of famous cities, it is easy to forget that it also has plenty of beautiful natural destinations, providing interesting landscapes, dramatic beaches, and extravagant history. Britain is now experiencing a “staycation” boom, with more British holidaymakers taking trips at home. If you are looking for a business opportunity in this uncertain Brexit era, investing in a regional franchise is has become a suitable option. Options to open or buy a franchise commerce listed at https://www.pointfranchise.co.uk/I-5-hotel-franchise/ will give you an idea of what is available. Here are some of the top Holiday getaway destinations in the UK. 1. Cornwall. If you’re looking for a nice beach to relax and enjoy, Cornwall is an unbelievable UK destination providing over 300 beaches. 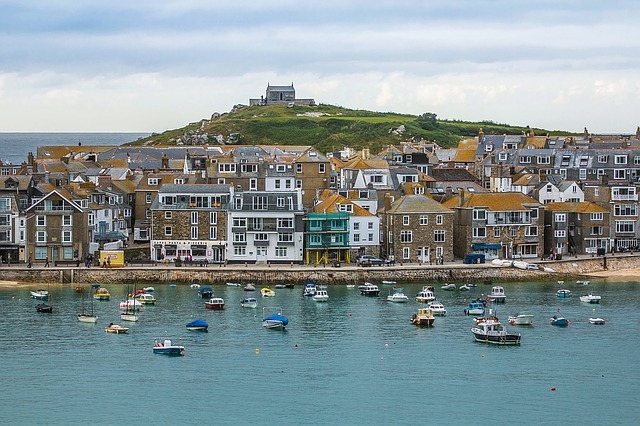 The beautiful scenery and gorgeous beaches keep visitors coming every year, but Cornwall offers more than just beaches. Castles are also a great site to see, such as St Michael’s Mount off the Mount’s Bay coast of Cornwall. 2. Lakes District. This region is known for its charming towns and villages. The Lakes District is a great place for couples and families to enjoy a simple holiday with impressive scenery, as well activities and sports for those wanting an active holiday. Also, if interested in staying in nice cottages, Lakes District has over 900 holiday cottages. 3. Isle of Skye. Located on the west coast of Scotland, Isle of Skye offers a variety of attractions. Boat trips are a favorite activity of many traveling to Isle of Skype, such as Bella Jane Boat Trips, which sails to the astonishing scenery of Loch Coruisk and its seal colonies, including views of sea life. A must-see by many is the Dunvegan Castle, which is believed to be the oldest continuously inhabited castle in Scotland. If you’re interested in historical scenery and years of fascinating culture, this island is a great destination. 4. The Cotswolds. An area in England easily accessible from London, The Cotswolds is a popular tourist destination for good reason. The Cotswolds is known for its beautiful towns, such as Cheltenham, pleasant villages such as Burford, and famous cities such as Bath. The Cotswolds has something enjoyable for everyone, such Matara’s Gardens, Blenheim Palace, Roman Baths, and various museums and gardens. Whether you’re visiting for a romantic getaway with your loved one or a enjoy a nice Holiday with family, The Cotswolds has endless opportunities of enjoyment.